While hundreds of historic landmarks around the world are named for the legacy of Dr. Martin Luther King, Jr., the national historic site in Atlanta is unique in that it preserves the real places where Dr. King was born, lived, worked, and is buried. Here, more than 700,000 local, national, and international visitors each year are captivated by the man, his ideals and courage, and this place. Start your visit at the visitor center to receive a site orientation from a park ranger. Inside, browse the permanent exhibitions “Courage to Lead” and the interactive children’s exhibition “Children of Courage.” View the documentary films about the civil rights movement and Dr. King’s role in it, which are shown throughout the day in the auditorium. Be sure to see the D.R.E.A.M. Gallery, which features short-term exhibitions on diverse subjects that promote public awareness, dialogue, and education. Outside the visitor center, take a moment to pause and enjoy the “I Have A Dream” International World Peace Rose Garden and the “Behold” Monument. This spring, walk in Dr. King’s footsteps to a newly preserved and restored historic Ebenezer Baptist Church’s Heritage Sanctuary where he co-pastored with his father. Reflect upon his sermons and the ideas of change born here. The restoration project, which will restore the sanctuary to its 1960s appearance, is scheduled to be completed in spring 2010. Visit and relax at the King Center’s reflecting pool and ponder Dr. Martin Luther King, Jr., and Mrs. Coretta Scott King’s contributions to promoting social change through nonviolence. While there, tour the Freedom Hall complex and browse the artifacts and timelines of Dr. and Mrs. King, Mahatma Gandhi, and Rosa Parks. 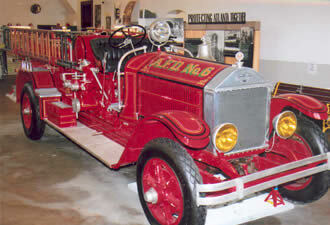 As you make your way to the birth home, you will encounter Atlanta’s first integrated fire station, Fire Station No. 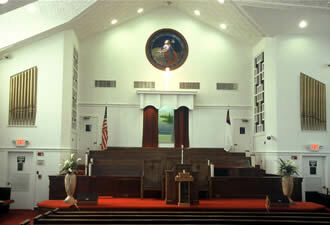 6, which Dr. King visited frequently as a child. The park’s gift shop and bookstore are here, so purchase your souvenirs and materials to learn more at home. Finally, stroll the residential block where Dr. King’s birth home is located and read the exhibits to learn about the architectural detail of the homes and the notable residents who occupied them. Tours of the birth home are available on a first-come, first-served basis. Reserve your spot with the park ranger on duty at Freedom Hall. 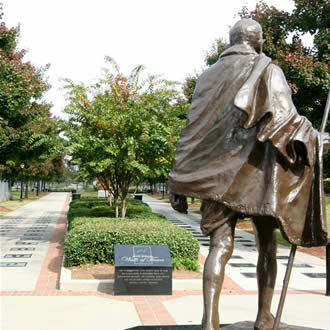 Before you leave the park, make your visit complete by walking along the etched granite pavers of famous footsteps on the International Civil Rights Walk of Fame promenade and see the life-sized statue of Mahatma Gandhi. And, as you think about your visit, always remember the dream. For more information regarding the Martin Luther King, Jr., National Historic Site, please call (404) 331-5190 or visit our website at www.nps.gov/malu.